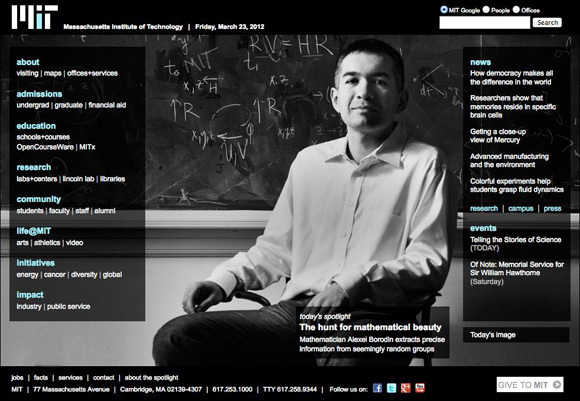 Here’s an image from a recent shoot of Professor Alexei Borodin used on the homepage of MIT. It’s part of a long series of portraits I’ve done for the university focusing on both new and established faculty and their work. You can see a few more portraits of MIT professors and researchers in my archive.